The Eve is a rugged, high-tech charging station with two power sockets and a large screen on the front. The fiberglass housing ensures that the charging station is protected against vandalism. The Eve comes with many features and is easy to use and install. The charging station is available with different charging capacities. The Eve has a modern and elegant design that fits well in any environment. The charging station is made of a special composite reinforced with glass fiber. This means that the housing is very stable, does not discolor and is optimally resistant to water and dust. This makes the Eve a tough choice. A unique feature of the Eve is that the charging station comes standard with an LCD display. On this you can u. a. read how much power was charged, but the display can also be personalized with its own logo. For businesses, this is a perfect way to add a personal touch to the charging station. Thanks to the intelligent electronics in the Eve, the charging station itself can match the maximum charging capacity to the installation. This means that the charging station can be connected in a cost-effective manner, but that the cars that support it can nevertheless be charged quickly without overloading the installation. With the Eve, you choose safety and reliability. 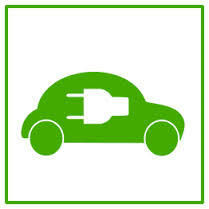 The charging station has been tested with all leading car brands and has been tested by independent bodies. As a result, the Eve has the Z.E. Ready received and is tested both CE and DEKRA (formerly KEMA). Only users who have previously activated them in the backend can load them at their charging station. That's why you can order the Eve with RFID closing function only with backend. With an RFID charging card or a key fob, electric car drivers unlock the charging station and start the charging process. You want to do without the RFID function? Then we disable them for you and you can just plug in and load. You want the Eve in total with max. Operate 22 kW power? No problem. Via the optionally available integrated load management, a connected electric car gets the full 22kW charging power. Comes a second electric car, each loads with 11 kW. Of course, the ICU Eve is also compatible with external load management systems, e.g. Cohere Maxem. Easily integrate the Eve into your network using a LAN cable or a power line adapter. With an OCPP backend of your choice, you can monitor or bill charges. Via the built-in GSM module, the communication also works wirelessly via a SIM card - plus one-time activation costs.